Vasco is a specialist boutique firm with executives and directors who have founded and contributed to the growth of a number of investment management firms. Prior to founding Vasco, Craig Dunstan founded real estate investment manager, MacarthurCook Limited (MacarthurCook) in 2003. MacarthurCook grew quickly to the point where within 5 years it was managing over $1.5 billion of assets including real estate, real estate securities and real estate debt on behalf of global retail and institutional clients. Craig was one of the first Australian fund managers to realise the potential of managing real estate assets in Asia. Following the secondary listing on the Singapore Securities Exchange (SGX) in 2006 of the MacarthurCook Property Securities Fund, Craig saw the opportunity to launch an industrial REIT in Singapore owning real estate across Asia. Following a successful international capital raising in 2007 the MacarthurCook Industrial REIT listed on the SGX. Following the sale of MacarthurCook in 2009 the Fund was renamed the AIMS AMP Industrial REIT. Whilst employed as General Manager, Financial Services of Australian Unity Limited with responsibility for all investment management activities and financial services businesses, Vasco founder Craig Dunstan saw the opportunity for Australian Unity to develop, launch and manage a real estate fund owning healthcare real estate. At the time no such fund existed in Australia. Following extensive research into the healthcare sector and healthcare real estate dynamics the structure of the potential investment fund started to take shape. In 2001 the Australian Unity Healthcare Property Trust was launched. Craig initiated the acquisition of the first two portfolios of properties into the Fund from Benchmark Healthcare Group and Alpha Healthcare Group. The properties included Beleura Hospital on the Mornington Peninsula as well as hospital properties in NSW, Victoria and South Australia. As part of the project, due to its novelty as the first healthcare property trust in Australia, extensive work with valuers and lawyers was conducted to determine how such assets should be valued and how leases should be drafted. Today healthcare real estate is an established property asset class in Australia with a number of investment managers such as AMP and Vital managing such funds. As of 30 June 2018 the Australian Healthcare Property Trust has assets of $1.5 billion and had delivered returns of 10.89% pa over the period since inception. Craig remains an investor in the Fund. Prior to founding Vasco, Craig Dunstan founded real estate investment manager, MacarthurCook Limited (MacarthurCook) in 2003. Craig was one of the first Australian fund managers to realise the potential of managing real estate assets in Asia. At the time investment managers in Australia only managed domestic portfolios of real estate securities which had a heavy weighting towards Westfield, GPT and Stockland. In 2004 Craig started the process of developing an Asian real estate securities investment capability in Australia through the recruitment of experienced investment managers from both Europe and Australia. At the time there were no Asian real estate securities funds available to investors in Australia or the United States. Following the establishment of an investment capability Craig found a joint venture partner in the United States and developed the RMR Asia Real Estate Fund which was listed on the American Stock Exchange in 2006 and the MacarthurCook Asian Real Estate Securities Fund which was listed on the Australian Securities Exchange in 2007 following successful capital raisings in both markets. A further RMR branded Asian real estate securities fund was launched on the American Stock Exchange in 2007. Craig was joint portfolio manager of the RMR funds which was awarded the Lipper Award in 2007 as the top performing real estate equity fund in the United States in 2006. Today it is commonplace for Australian investment managers to be managing Asian and global real estate securities. During this project Vasco undertook work which included drafting of business plans, drafting of business policies, establishment of the corporate entity, applying for an Australian Financial Services Licence, development of the Fund structure and drafting of the information memorandum for the Fund. 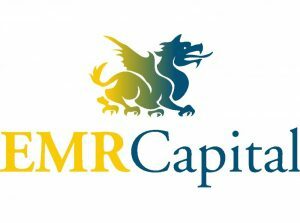 Today EMR Capital manages over $2.5 billion of assets and is regarded as one of the leading managers in this space.